From Bohemia to Bavaria - Take yourself on a cycling adventure like no other. This trip is all about enjoying the countryside, the people, but most of all the culture. 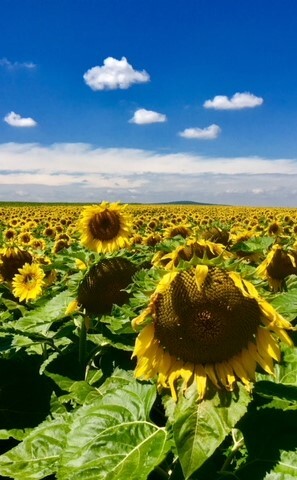 Immerse yourself in the unmistakable Bohemian Capital - Prague, before entering the rolling wooded hills of the Czech Republic and then the Bavarian countryside before reaching the home of the Oktoberfest - Munich. You shall experience food and drink fit for a king while soaking up the beautiful surroundings of gothic architecture and ancient culture deep in the heart of central Europe. Fly into Prague the night preceeding the first days cycling gets you up in time for a good start on this first day. We head straight out and across the gently undulating countryside outside of the Czech Capital. After a short ride down the Vltava River, we head towards Tabor, our first overnight, and the first example of a historic medieval city. From here we have a slightly longer day's ride into the heart of Bohemia - as we ride through open countryside, into the heart of brewing country, to Ceskey Budejovice, and then on to the amazing walled city of Ceskey Krumlov. From here we shall head into the beautiful wild forest of Sumava, before climbling up and over the border and into Germany. Get ready for the trickiest challenge of the ride - as this day is a long ride - we shall be underway early, and at the end of a challenging day's ride, we shall pull in to Vilshofen beside the Danube! From here we have one easier day's ride to reach Munich, and our journey's end at the Oktoberfest! Arrive afternoon/early evening for your transfer to the hotel and bike preparation. Evening meal and route briefing for the event. A nice warm up ride takes out along the river before heading into the Czech Countryside. The ride climbs slightly during the day - but is manageable! We shall have a few undulations before reaching Tabor and the pretty walled city! Get ready for some hearty Czech Hospitality this evening! It's an early start and hit the open country roads of this picturesque part of Europe. We start to move more into the heart of the country. About 2/3 into the day we shall reach Ceskey Budejovice - where we shall break for afternoon tea, coffee or ice cream! This is the home of the original Budweiser, but save yourself until later - our destination tonight is a bit special! It's a further 30km to our days destination in the South Western Corner of the Czech republic - Cesky Krumlov. Cesky Krumlov is certainly a highlight of the trip, a World Heritage Site, and a beautiful town nestling on a sharpe horseshoe bend of the river Vltava. Today is a stunning days cycling through the Czech countryside, and across the former iron curtain into Germany. It starts gently and we are treated to a special view into the heart of the wild region of Sumava - a sparsely populated expansive forest, with the huge Lipno Lake directly in front of us. We cycle beside the lake for a good distance before starting the challenging climb up to the border. From the border we are then able to enjoy a mighty descent down to the River Danube for our overnight. A slightly shorter distance but still an undulating days riding ahead. Passing through many of the charming ancient villages of Bavaria and finally arriving at it's capital - Munich. 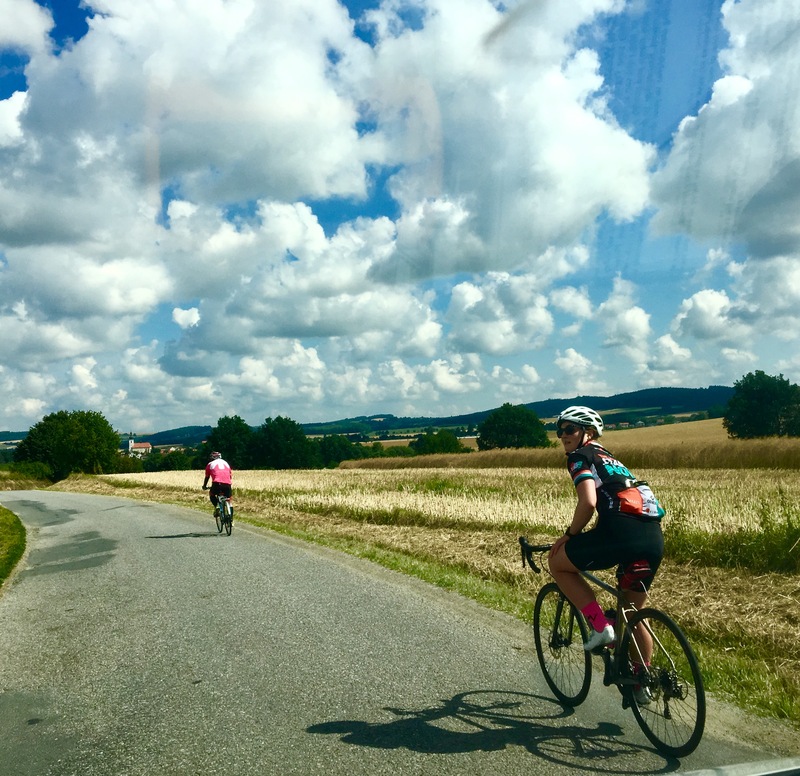 Having travelled through the simple countryside of the Czech Republic, you may well find Munich with its shiny cars and high rise buildings somewhat of a shock, but at least the beer will taste good, with 4 days of riding and two amazing countries behind you. Our event team will assist you with packing your bike and transfer to the airport. Please note the exact finishing point for the ride will depend upon the team, and how long you wish the last day to be - we often opt for Erding which will be some 35km before the city centre - but this makes a very convenient end to the ride. From here we can catch a local train into the city centre, to celebrate the end of the ride. 5 Nights Accommodation is included in your fee. Beginning in Prague, we shall be in simple hotels throughout the event (including breakfasts). The standard of accommodation is designed to be functional, and clean - and to enable us to get a good night's sleep - and enjoy the challenge. You will be sharing in twins or triples If you require a single room then please request this at time of booking (a small supplement will be payable). Upgrades are also available for an extra charge if required. N.B. Our hotel on the final night will be on the edge of Munich and we shall catch the train to the city for the Beerfest. Entry and food/drink tokens must be purchased beforehand, please contact the office for further details. Experienced Cycle Leader/First Aider, Full Vehicle Support and Driver/Mechanic, Pre-event briefing. Bed and Breakfast accommodation en-route. Full buffet breakfasts every day. International Flights to and from start and end of the ride. Excess spare parts. By nature all activities contain an element of risk.Your leader will be first aid qualified and will carry the appropriate safety kit for the activity, such as first aid kits, our on hand support vehicle, and from time to time mobile radios. Safety equipment carried will be appropriate to trip. The leader's primary role is to ensure your safety, but it is your responsibility to listen to their guidance and instructions. You will be issued with detailed safety guidance for riding safely. It is our primary focus to ensure you arrive safely at your journey's end without any crashes or accidents! We should catch the end of the summer - and have mild warm and sunny weather. Be prepared for hot and sunny conditions - so be prepared to protect against the sun. Equally however, we could get unlucky! So pack rain jackets and warmer clothes too! Just in case…. Bike Hire may be available - please ask at time of booking.